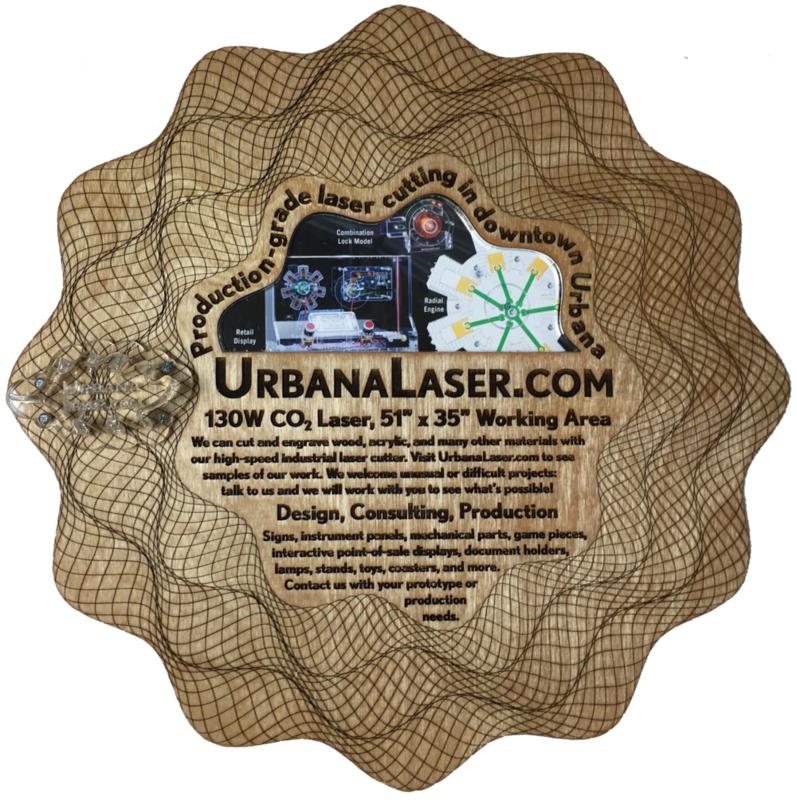 Urbana Laser offers laser cutting services in Champaign-Urbana, Illinois, including design, prototyping, and production. We are happy to work with individual customers, or as a subcontractor for companies wanting to add laser cutting to the services they offer their customers. Engraving can be done on plastics, wood, leather, stone, and other materials (but not metal). Laser cutting is an extremely versatile method of creating beautiful and functional pieces. For example, this interactive retail display was created entirely from laser cut clear and colored acrylic, including the case, engraved, side-lit sign panel, and all working mechanical parts (except, of course, the electric motors, batteries and switches). Laser cut wood can be astonishingly detailed and beautiful, as in this lantern prototype. 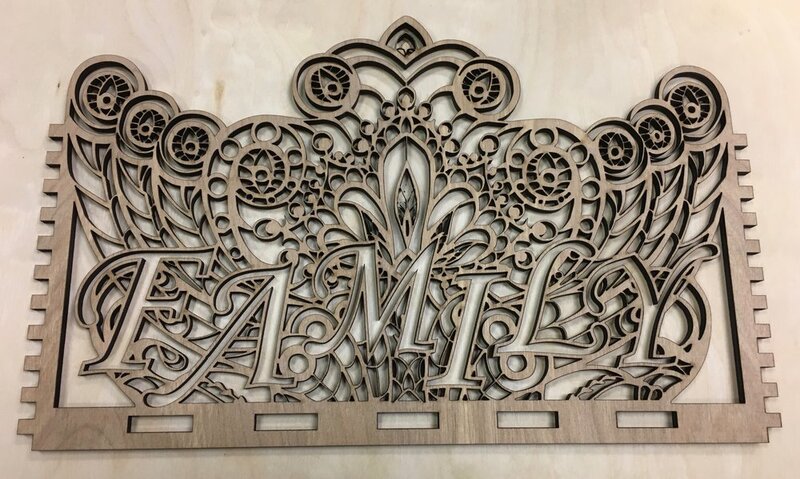 We can work with you to turn your ideas into working designs, then cut one or a thousand copies, using one of the most powerful laser cutters in the area. Because we're local and can work around our own production needs, our rates are significantly lower than competing online services. No shipping costs, immediate results, and if you like, you can watch your designs being cut to identify problems immediately, not days or weeks later when you get the parts back from a distant company. Laser engraving is a great method for making signs, plaque, and coasters. Beautiful results are possible with a variety of woods. Our own work at Urbana Laser is designing, fabricating, and selling laser-cut educational acrylic models of simple mechanical devices. This has given us experience in all aspects of production, from design to supply chain to retail packaging. We are happy to make our expertise and services available to others interested in similar, or different, projects. If you'd like to see more examples of the kind of work we can do, please visit our models site at http://mechanicalgifs.com.